MY BLOG RANG me a few minutes ago to ask about a special set of screws. Read on if you are intrigued about the steps (in photo) and squeaks. 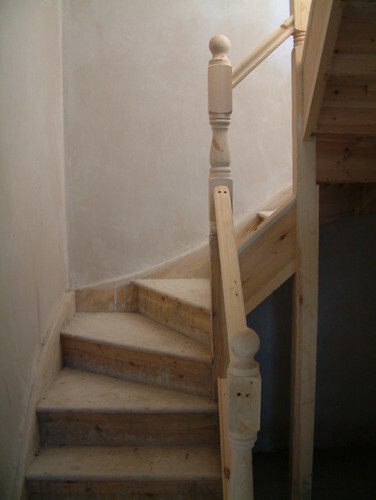 Photo of stairs by @topgold. But I never got the screws and the stairs kept squeaking. They still squeak for the current home owner. And I have a new squeak in our current rental bungalow but no anti-squeak screws. However, it is relatively easy to find my blog when Googling for squeaky stairs in Ireland. And since my phone number is on top of my blog, I get the occasional request for No-squeak Screws. When that call happened today, I had to tell the confused caller that I was ill-equipped to help. But I am resolved to get the screws  before our trip Stateside next year. So in the Christmas season, if you hear a squeak underfoot, feel free to ring my blog. The number is on top of nearly every page. 1. Bernie Goldbach -- "How to fix squeaky stairs" on Insideview.ie, September 3, 2006. 2. O'Berry Enterprises -- "Sqeeeeeek No More"
I PUT THE world's best GPS watch onto my Father's Day Wishlist and then started letting the Suunto Google Plus Community push its updates to my phone because I know the combination of those two tactics will help me divert my fast food spending into the Suunto Savings Account. 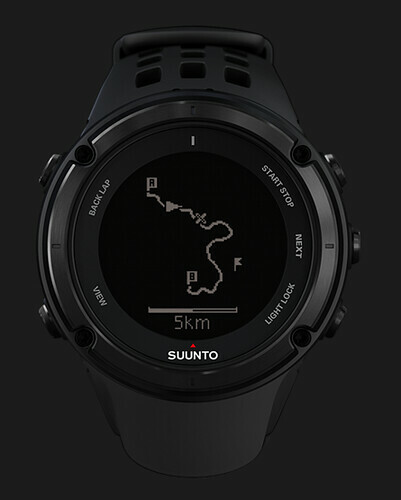 I figure I will have enough money for the Suunto after avoiding 117 takeaway meals. So that means sometime around Christmas 2015 I'll have the funds for the $500 purchase and I think my well-telegraphed intentions will help nudge this health and fitness tracker into my Christmas stocking. It will be worth the wait. AS I NOTED in my weekly review of the Sunday papers, we have validated our need for scented oil and citronella because the midges are back with warmer weather. We want help from the Sodshow too. In the meantime, a nice porcelain oil lamp from the Scandinavian shop might help. 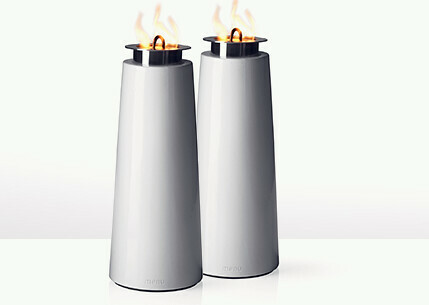 It reminds me of outdoor items my grandfather would use when setting up special garden parties for clients. OUR CHRISTMAS SHOPPING season this year is very truncated because we have 1200 euro less each month, compared to 2010. So when we find things like the free ball pit in the photo (snapped at the Monkey Maze in Glanmire), I feel like we've done well. The Monkey Maze Ball Pit offers safe harbor for two of our kids and releases Mom the Shopper to walk Cork's shopping district, located a 20 minute drive away. We've also discovered Cork Traffic Wardens let us get away without paying for on-street parking. Looking back at my Foursquare check-ins, I discovered I buy most of my trousers in Cork but most of my suits in Limerick. I've bookmarked one clothing store in Cork whose tailor makes clever nomad gear pockets. I need two nomad jackets that also look like business attire. If things go to plan, young Dylan will be in the ball pit in January when I buy a nomad jacket in Cork. MUSIC IS A DAYPARTER. You can tell it's near lunchtime in Europe by the requests for tracks my blog gets. You can tell a lot more about an online presence by looking and listening to the dayparting results. I used to think I was more a tech blog than anything else, but the high-ranking terms of reference cited in this post suggests I'm closer to Liveline's audience, not Adrian Weckler's readers. For those loyal listeners, you're welcome to try out some Sugababes music below, perhaps on your Nokia Lumia or Android phone. I don't think the girls will play through the below link on an iPhone. Bernie Goldbach curates links about music. I HAVE SPECIAL SPACE in my DVD collection for Star Wars, Star Trek and BSG. So it's only natural to have a special hook in the hallway for a Star Wars M65 Field Jacket. I'm posting my thoughts here, along with a direct link to the Adidas selection, to prod family viewers towards a lovely Christmas idea. 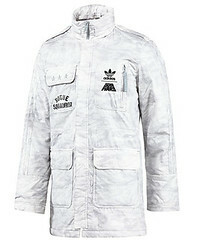 I've already asked my wife if she would like a matching jacket and she has declined. So I'm trying to determine if our four-year-old could fill out the smallest size and be the envy of her play school as she strides in with her Camo Jacket, complete with a four-star field commander cluster to keep her inner nerd warm toasty warm.. IT'S THE SEASON FOR searching for photos related to Christmas in Ireland. I've five years of Christmas memories recorded on Typepad's servers, including some shots taken with a Nokia Bluetooth camera (see left), a Sony Clie and others snapped with several Fujifilm cameras. I shot the little people walking on Grafton Street one wet December day in 2003. Today, those same kids probably have cameraphones of their own. They take, save, and share Christmas pictures of their own. Years ago, I never thought that every phone would incorporate a camera. Now, it's paramount because sharing moments will always evoke visual memories.